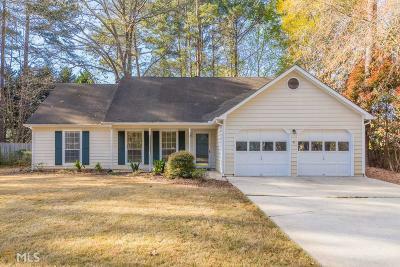 **Multiple offers received - please submit best and final by 4/9/19 at 12pm (Midday)** Quaint 3 bedroom ranch in the highly sought after South Peachtree City school district of Starrs Mill/Rising Starr. Move in ready, this beautiful family home benefits from a large and level fenced in back yard offering additional privacy. A mixture of polished hardwoods and carpets throughout. Vaulted ceiling in the family room which leads into open plan kitchen/eating area. French doors opening out onto SOUTH facing back yard with patio area - perfect for grilling on a Summers eve! Large master suite benefits from separate shower and tub. Double two door garage offers plenty of parking space. Directions: From Ptc, Head South On Ga-74 (Joel Cohen Parkway), Left Onto Redwine, 1st Left Onto Foreston Pl, 1st Left Onto Kraftwood Park, 1st Right Onto Longwood Ln - #519 Will Be On The Left.